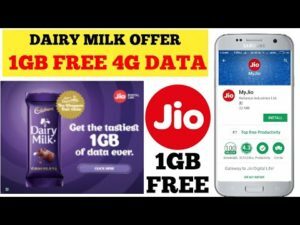 How to Get 1 GB 4G Data for Free (All Users) after Upload Pic of “Cadbury Dairy Milk”? 2. Open the Myjio app and log in. 4. Click that Banner and Agree with. 5. Click on Participate and Allow Camera. 6. Click Snapshot of any Dairy Milk. 7. Now you get Successful Message. Congratulations you have got unlocked 1 GB Data.